Videography requires a variety of high quality equipment like that shown below whether filming events, concerts, or communications. 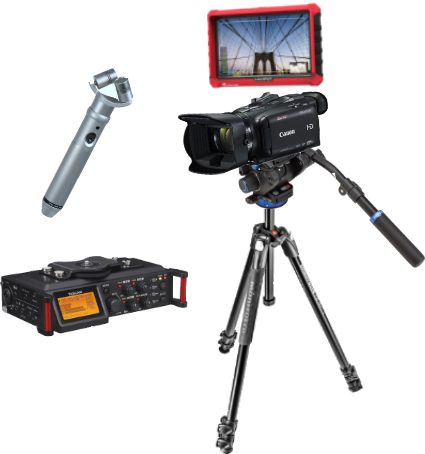 Some of the equipment we use is illustrated below: a 3-axis stabilizer for taking video while in motion; HD monitors; tripods with a fluid head for stable, smooth motion; and of course the HD camera. The camera shown is a HD1080p Canon G4 with full manual and automatic controls, and we also film in 4K.